The polar bear is a refreshing creature to look at. It is often associated with innocence and purity because of its immaculate white color. The Inuit Native Americans see the polar bear as a special animal because of its human like characteristics such as walking on hind legs and protective nature on its cubs. They believe that the polar bears have bigger spirits than most animals. Anyone could easily fall in love with the polar bear and that is for sure! If you know someone who is fond of polar bears or you are a polar bear lover as well then you should stick around and check out our prepared list of handpicked items meant just for you! 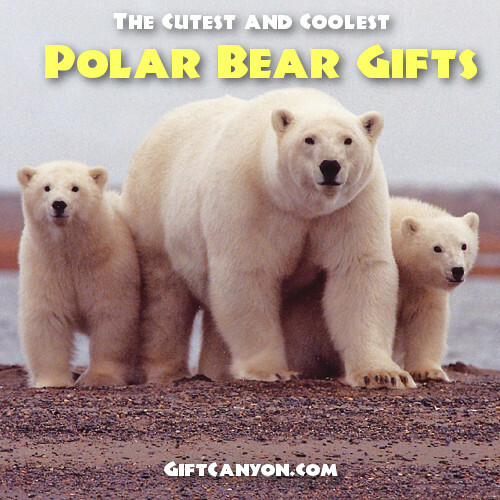 See our polar bear gifts that are astounding and remarkable that could surely make any polar bear lover awe in admiration. 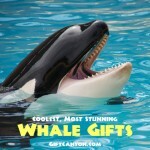 Please check out our listing of polar bear gifts below for your reference. 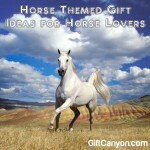 Nothing beats a personalized gift! 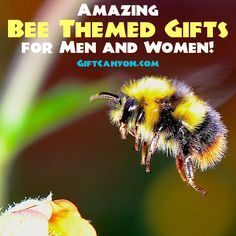 Well, simply because when you personalize your present that means you have given enough time and thought of your giftee to make your gift a special and remarkable one. Check out this personalized polar bear charm necklace, this is the easiest way to keep your favorite polar bear near your heart anytime and anywhere. This polar charm necklace can be personalized by adding a monogram of your name or your recipient’s name. 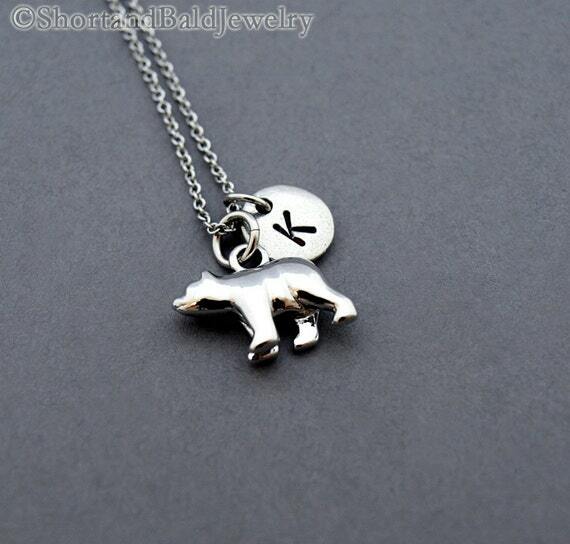 This polar bear charm necklace is made of rhodium plated metal which runs for up to twenty four inches. 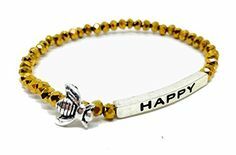 The initial is hand stamped too which assures you of the intricate details and quality. You can customize this polar bear charm necklace by adding freshwater pearl or your birthstone. A ring can be a sign of a promise, a token of love or appreciation or just because. Rings are usually designed using birthstones, pearls or just in plain bands. 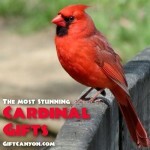 If you are looking for something unique then this gift idea is highly recommended for you! 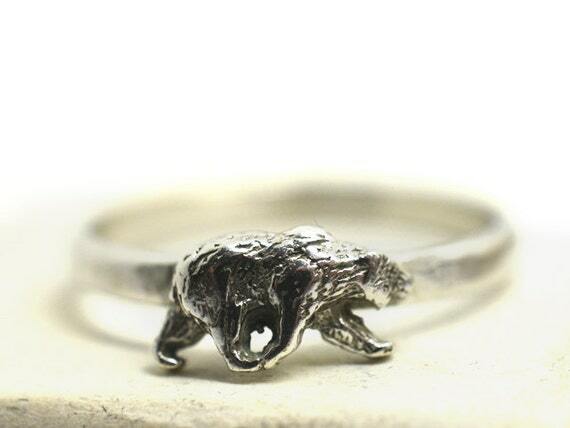 Check out this silver polar bear ring, this silver ring features the majestic polar bear on four. Any polar bear lover would be delighted to have this as a surprise gift for an upcoming anniversary, birthday or just because you feel like giving a present! This silver polar bear ring comes in different sizes to choose from and comes with an engraving too as you please. 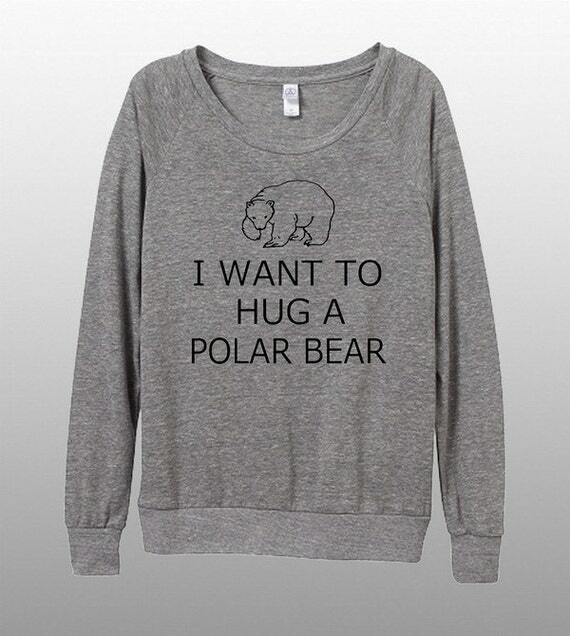 Have a comfy and cozy feeling by wearing this polar bear pull over shirt. This polar bear pull over shirt feels like a regular t-shirt when worn because it is made from twenties eco- heather. You can choose from small size up to extra-large too. The best part of this pull over aside from the comfortable wear is that it features your favorite polar bear too! Keep cool and stay cool just like what this polar bear shirt says! This stay cool shirt features a very cute polar bear with a caption of “stay cool”. This shirt is perfect for the casual hang outs with friends and be the chill dude in the group and remind them to “stay cool”. This stay cool polar bear shirt comes in Heather dark gray and light heather gray. Sizes vary from extra small to large to accommodate most ladies who are polar bear loving and wants to stay cool! Do you find the polar bear as the cutest animal in the planet? Well, if you do then why not try to make your child, niece, nephew or any toddler out there be your cub through this beautiful crochet polar bear hat. 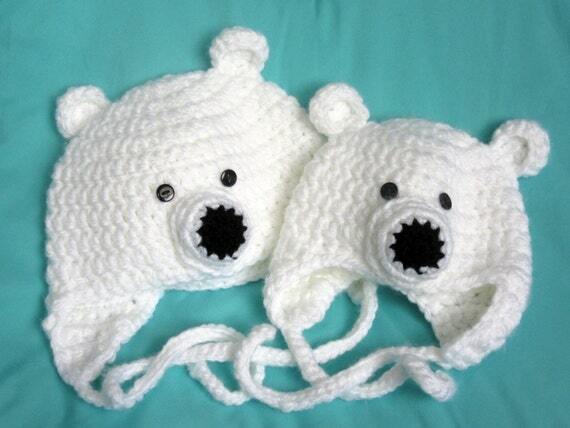 This crochet polar bear hat is customizable to fit babies from zero month up to most teenagers or even adults. 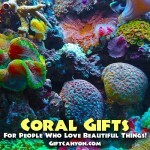 Shopping is fun but carrying the goodies after is one of the worst tasks ever! 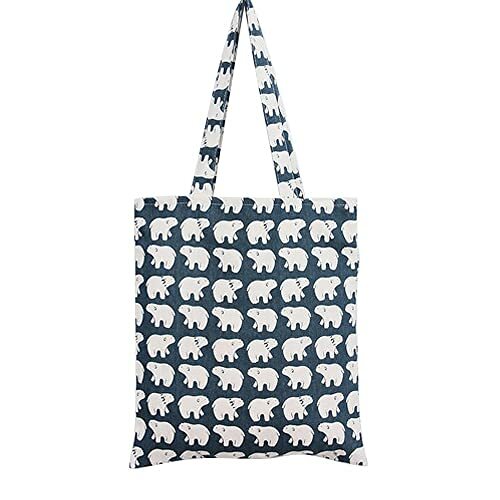 Make carrying your goodies bearable through this very charming polar bear canvas tote. This polar bear canvas tote is your new shopping buddy for it is spacious, durable and made strong to hold most of your groceries. 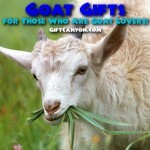 You can sling it or hang it on your shoulder as you please. 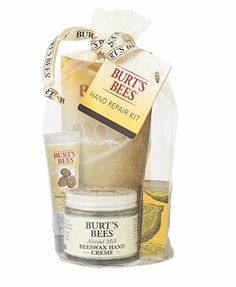 You can choose from no closure tote to a zipper closure tote. What makes this canvas tote different from the rest aside from the charming polar bear prints is that it has an interior open pocket which is not seen in most tote canvas bags. This polar bear canvas tote bag is made of cotton and runs with a length of over twelve inches. Baking is one of the rewarding hobbies that you could have according to a recent research. 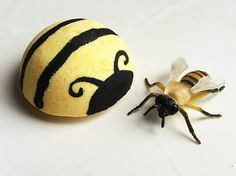 Through baking you can express your creativity and feel rewarded when your guests adores and enjoys your baked goodies. For the polar bear fanatic, you can surprise them with this pair of polar bear oven mitts. 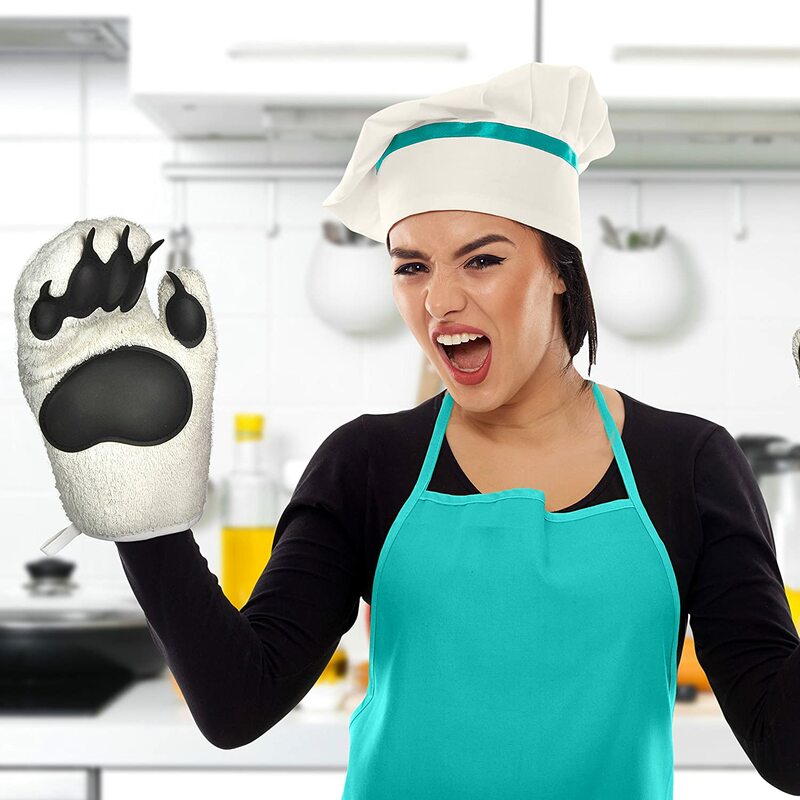 You can make them feel like a polar bear every time they get to wear this cool and extra ordinary oven mittens. This pair of polar bear oven mitts is made from insulated cotton which gives the wearer the assurance of not being burned with the help of the heat resistant silicone paws too. Be up to date by keeping your important notes stacked to your wall with the help of these charming polar bear sticky notes. 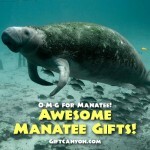 This one of a kind sticky notes comes in thirty pieces per pack. 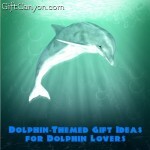 You can choose from four designs of polar bear too. 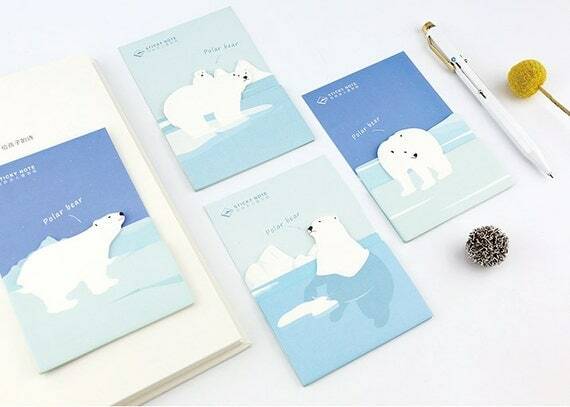 Any polar bear lover would go gaga when they get to receive these notes as a gift for sure! Amplify your sounds to enjoy your music more with the help of this very cute polar bear light up speaker. This polar bear light up speaker is user friendly, all you have to do is to connect it to your smart phone through the three and half millimeter headphone jack. 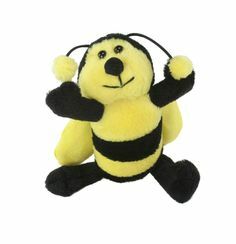 You can even connect it to another Groove Pal through the 3.5mm jack for an entertaining and spectacular sound fest that would be very entertaining for the kids and even the kids at heart. Increased humidity and the dusty surrounding can make breathing hard for people who have allergies or even flu symptoms. You can ease the stuffiness and make breathing easier through this eye catchy and one of a kind polar bear cool mist humidifier. 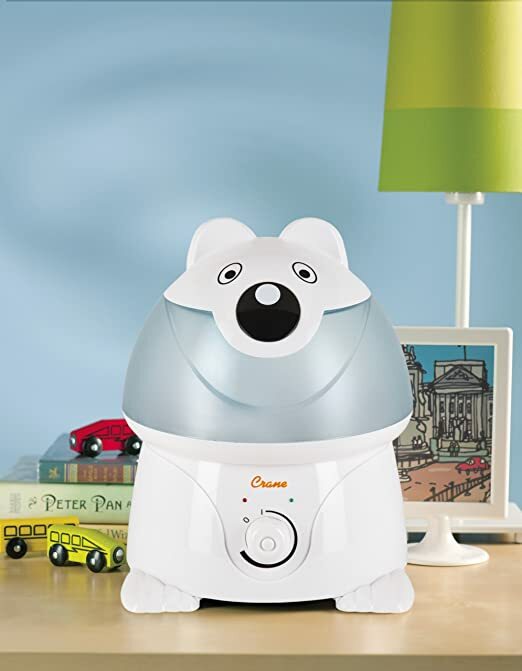 This polar bear humidifier increases the moisture of the air and promote easier breathing. This extra ordinary humidifier is a charming and pleasant device that will make any polar bear fanatic be overjoyed when they receive this as a gift. This polar bear cool mist humidifier is also proven to reduce bacteria and even mold build up for almost a hundred percent. Don’t be deceived by its cuteness because it is powerful enough to effectively humidify a room for up to two hundred and fifty square feet. An added plus factor for this polar bear humidifier is that it has a safety sensor that can automatically shut it off as needed. Just like us humans, polar bears have close family ties as well. You can see and witness the love of a polar bear family through this astounding sculpture. This polar bear family sculpture is consisted of a mama bear with three playful cubs. 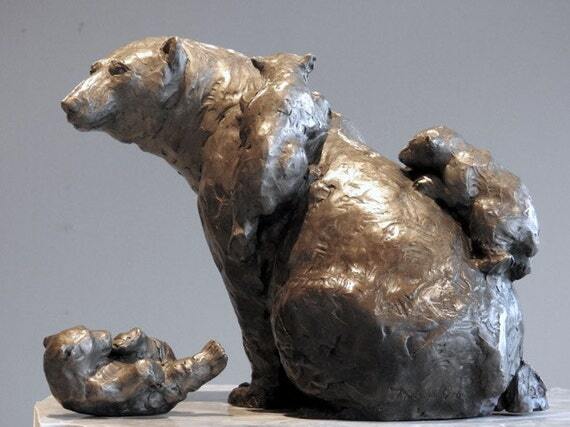 This polar bear family sculpture is made of cast bronze and is molded using the method called lost wax. The polar bear family sculpture is ten and half inches high by twelve. This would be a charming aesthetic piece on your living room, coffee table or anywhere you would plan to put it in order to be graced by the beauty of the polar bear family. Have you ever felt that something is hiding under your cup just when you are about to finish your favorite beverage? Well, your illusions have come to life through this polar bear surprise mug. The favorite charming polar bear comes out when you are about to finish your coffee and gives you the surprise of your life. 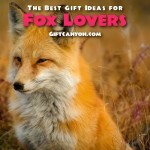 This could be a funny gift for the polar bear lover on your list. 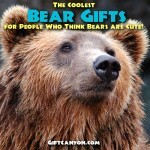 More Polar Bear Gifts You can Give to Polar Bear Lovers! 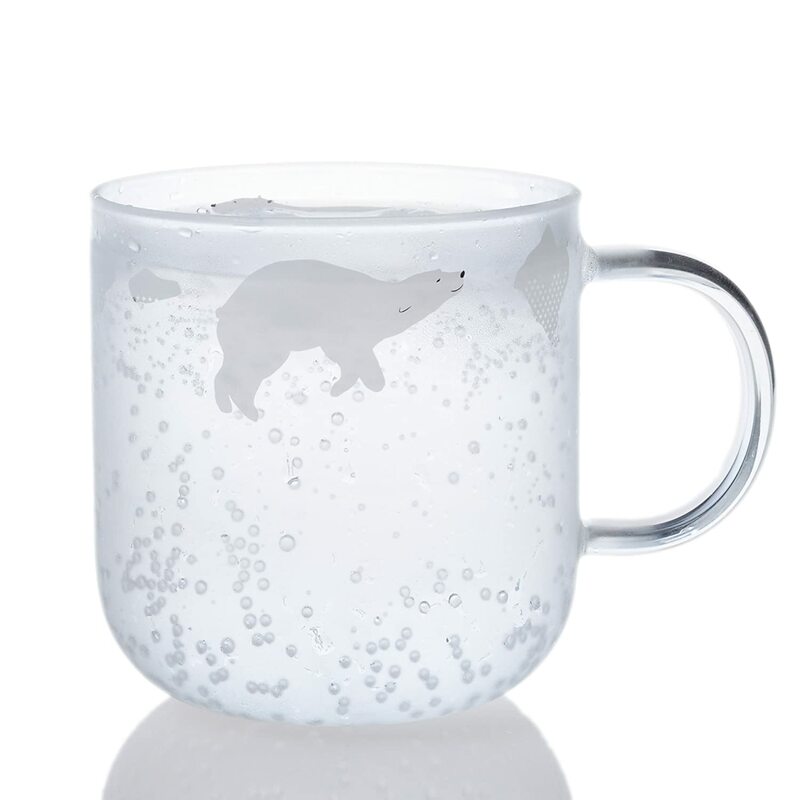 If you are a minimalist and prefers to keep it plain yet beautiful then this polar bear glass mug is made just for you! This polar bear glass mug is made from high quality borosilicate glass that is designed elegantly with polar bear prints that are too cute and fun to look at! 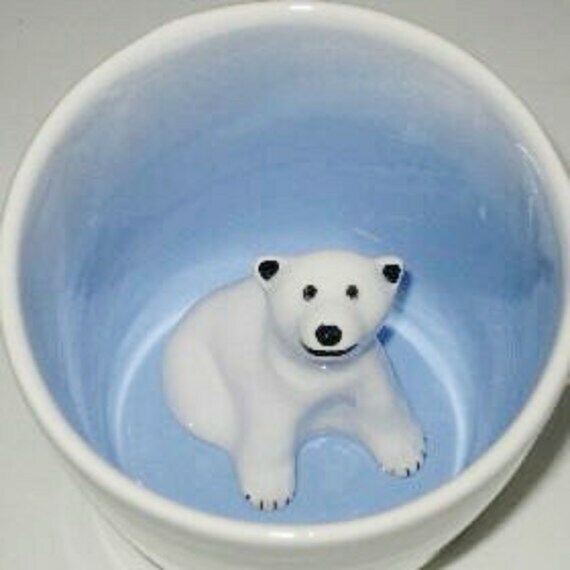 This polar bear glass mug is a great gift idea for a polar bear present for any occasion there might be. In addition, this polar bear mug is not just fun to look at but it is also great to use since it is safe to be used in the microwave as well. You can hug your favorite polar bear anytime you want through this lovable and adorable polar bear plush. 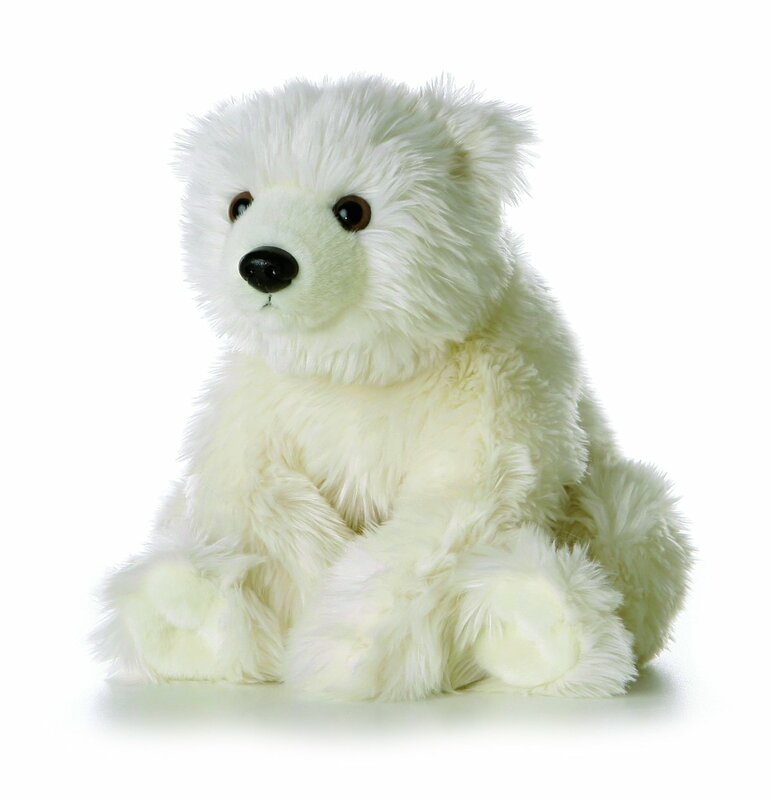 This Aurora polar bear plush is very soft and cuddly with the realistic styling of a polar bear. This polar bear plush could make any heart melt when given as a gift not only to polar bear lovers but to anyone since it is very soft to touch and charming to look at! This polar bear plush is just the right size of six inches by eight and gives the right cuddle as well. 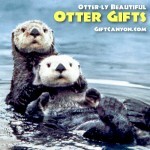 Otter-ly Beautiful and Cute Otter Gifts! 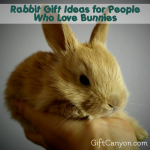 The Cutest, Coolest Dog Mom Gifts!